Get you tomato plants from us!!!!! Thank you for all the financial Support! We also want to Thank Alyssa Duclos and Veronica Bagley and their wonderful kids for their tireless efforts. Karin Dingman and Katie Frazier for all the help in the painting and the cleaning. Bottle caps, cork, buttons,wooden blocks, lego pieces, small plastic containers, velcro, small screw drivers, screws and nails, yarn, small hot glue guns, extra wires, dowels, washers, rivets, bolts of all kinds, hooks, small wood pieces, anything and everything you can imagine using as a kid to build stuff! You can drop off to Topa Office for the STEAM Room. You can donate directly through our website and your donation will deposit directly to Topa PTA's bank account. ​No fundraising commissions are charged. The bank will charge a credit card processing fee of 2.75%. Please share with friends and family we have found great lab desks and cabinets. All our arts and science instructional materials are in our steam room. Our students are already using the room every day. We need to make it special and fully functioning with these additions. If you are on campus, please check out the progress in room 14! Click the Text Topa Office to get instructions about how to text the office Administrator to report absences or send messages. Follow instructions to sign up to Remind 101 to receive school wide reminders and notifications! 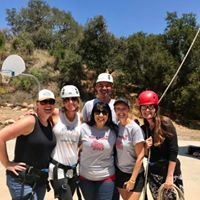 See all the amazing field trips Topa Students experience! Welcome to Topa Topa Elementary School PTA. We serve students from TK through 6th grade. Our commitment to excellence exemplified by tremendous parent and community involvement and a peaceful, friendly, and safe campus environment. Join Topa PTA and help us bring exciting programs to our students. Topa PTA funds: Art-Music-Science Field Trips-PE-Technology-Hydration Stations-Outdoor Equipment-Enrichment Programs.